Created in 1972, this floral-chypre scent is from the fragrance house of Jean Patou, which first discovered Osmanthus, a shrub originally from the Himalayas, China and Japan that only blossoms a few hours in spring, making it impossible to predict the annual production of the scent. 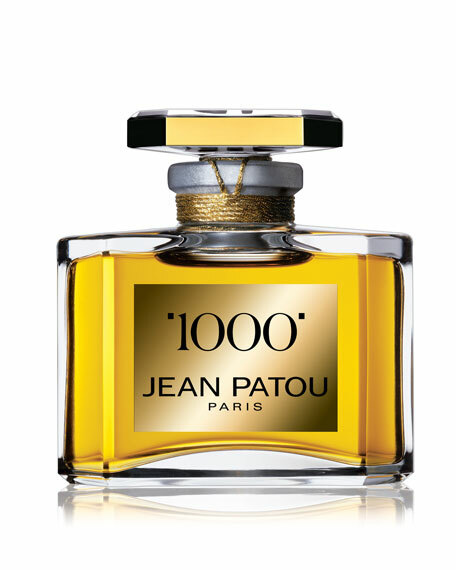 It's called 1000 as it literally took 1000 attempts to find the perfect scent. 0.5-ounce parfum in a crystal bottle with a gold thread wrapped around the neck.